We provide Cassandra consulting and Kafka consulting services. The Cloudurable Architecture Analysis Quickstart Services Package is designed to prepare your team to launch Cassandra or Kafka in AWS/EC2. This services package provides focused architectural analysis on how to design, deploy, configure, monitor and support Cassandra or Kafka in AWS/EC2. We provide the same Architecture Analysis for Kafka or Cassandra running in AWS. This can really help your developers and DevOps teams get started on the right foot. Help set up custom AWS Cassandra as a Service or AWS Kafka as a Service. Cloudurable Consulting services share best practices and know how to solve common problems rapidly. The cost benefits are months of your team not spinning their wheels or worse making costly mistakes. We also help you design your monitoring and logging so if there is an issue it will be easier for our support team (Support subscription pricing for Cassandra and Kafka.) and your team to track it down. Our support tools work in an AWS / EC2 environment. We provide ad hoc support as well as subscription support plans for every budget. This Architecture Analysis package is designed to quickly support a production application running in EC2/AWS for Cassandra or Kafka. Pick the right EC2 image types and EBS volumes, VPC, and AZ/Region for the Performance and Data Safety Needs of your application – During Architecture Analysis, the Cloudurable consultants works with your team and makes recommendations on which how to setup your Kafka or Cassandra cluster in EC2. We help you get the biggest bang for your dollar with EC2 while running running Kafka or Cassandra. Reduce Potential Latency Issues – During VPC and Network Design Review, the Cloudurable consultants reviews the proposed VPC, subnet, availability zone, layout and make recommendations to increase throughput and reduce latency while maintaining data safety and disaster recovery. We go over EC2 enhanced networking, and EC2 placement groups and how it applies to your cluster. Confirm Security Compliance – During Security Design Review, the Cloudurable consultants reviews the security or compliance requirements of your application. Then we make recommendations that correspond to security configuration changes for Cassandra or Kafka running in EC2/AWS. If needed, we recommendation security integration, encryption, private networking setup, and ways to encrypted data a rest in a performant manner in EC2. Ensure Application Code Written Well – Cloudurable Services consultants can review your Cassandra Application Code Review. The consultants can suggest changes. 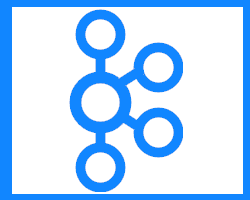 Subscription Cassandra support (Support subscription pricing for Cassandra and Kafka). For more details on the subscription support or pricing please contact us or call ((415) 758-1113) or write info@cloudurable.com.